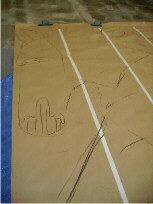 Translucent and Textural Backdrops for Bands and Marching Bands. "The scrim worked very well for us this season. 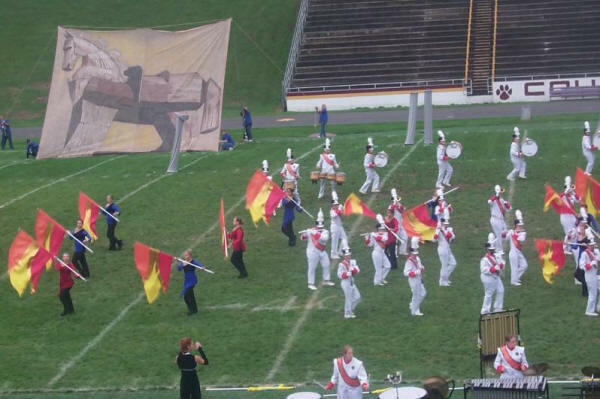 The band placed first at all four of our contests and the judges were crazy about the scrim. Thanks so much to you and your staff for an outstanding addition to our program." 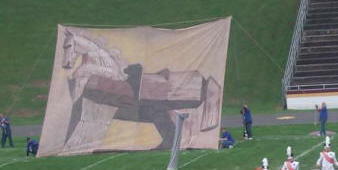 Chameleon™ is a large painting surface for painted scrims that enhances the visual side of marching band competitions. 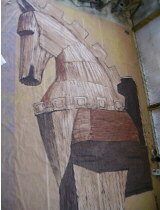 Shown on the left is the painting in use and in process.